This week certainly was a chilly one! We started the week with snow and the students enjoyed the time to get outside and build snow structures collaboratively. 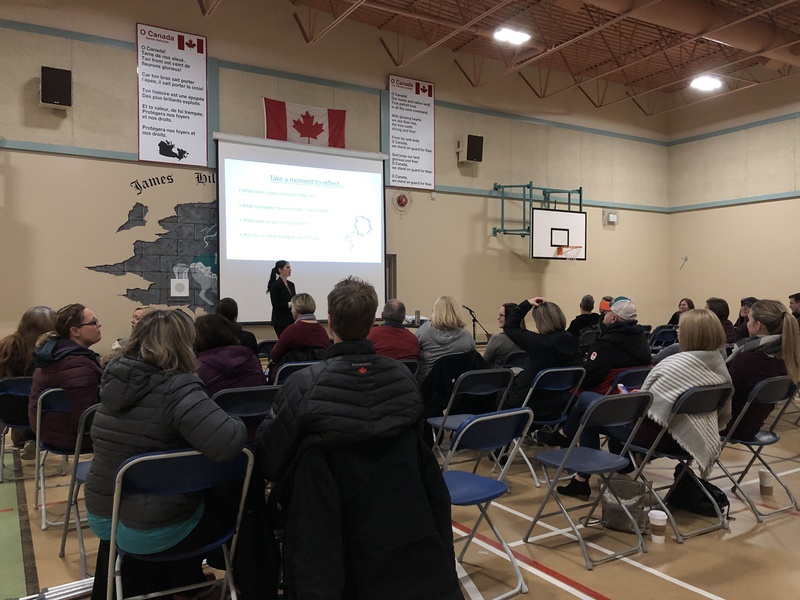 On Monday evening, our Parent Education night on the Zones of Regulation was a terrific success. Parents were provided with tools to use at home to support their chil dren in identifying their Zone and their feelings, and also the strategies to move back to the green zone. Thanks to all who attended and a special thanks to our PAC for organizing and planning the evening of learning! In Mrs. Hobb’s class, the salmon are close to hatching! The students are really enjoying their learning on the life cycle of the salmon. Seeing the salmons hatch will be a big day! 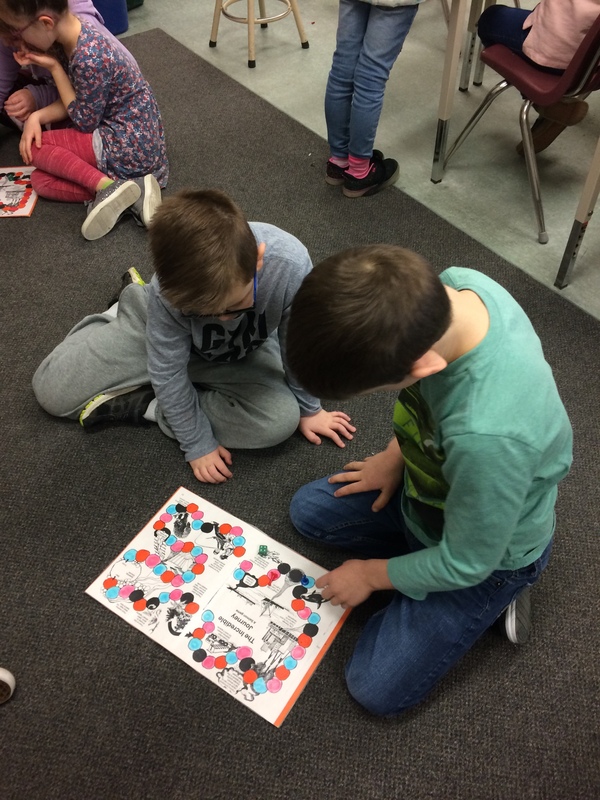 In the meantime, they are doing lots of learning in class and using games to show their understanding. These temperatures sure are freezing lately. Please remember to send your child to school with the necessary layers to keep warm and dry outside. Toques, waterproof gloves, winter boots and a warm coat all help to keep kids warm during these frigid days. Sending along an extra pair of socks or pants in the backpack also helps in the off-chance your child gets wet in the snow. Thank you! Just a reminder that the school and district websites will provide you with ongoing updates in the event of severe weather. In the event of extreme weather or heavy snow, we do our best to notify you of any school updates early in the morning. If you do not see or receive any notifications, the school is open, as usual. On the same note of snow: It looks like Mother Nature may bring us snow overnight. On snowy mornings, it can be challenging for Mrs. Simonetto to get all the walkways cleared of snow before the first bell. If you live nearby and are available on snowy mornings (and are looking for a great workout) feel free to bring a shovel and join the shoveling party! Mrs. Simonetto usually starts around 7:15 am. The more the merrier! You can email Mrs. Simonetto at ksimonetto@sd35.bc.ca if you are wanting/available to assist. 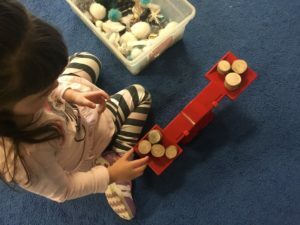 Strongstart continues to expand the and explore critical thinking with wood slices on a scale. Strongstart is an early learning program for children birth to five years of age. Come check out this complimentary early learning program which runs Mon – Fri in the afternoons 1 – 4 pm. We are always collecting books for our annual Summer Reading program that occurs the end of June however we are specifically looking for certain books this year. If you happen to have any of the following books or authors and are willing to pass them along, please drop them off in the box at the office labeled “Summer Reading”. Thank you for your generosity! If you have any questions regarding the summer reading program, please contact Mrs. Peck at bpeck@sd35.bc.ca. PAC Meeting Monday, February 11th @ 6:45pm in Learning Commons Area. Please come!! Tickets & Pre-order forms for Pizza should be in your kids backpacks. Please click on the link below to help volunteer for a shift that evening. Monday, February 25: Report Card Prep Half-day. Dismissal at 11:35 am.